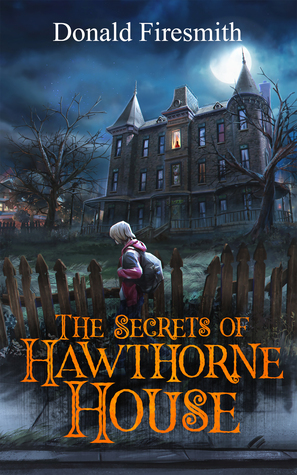 Secrets of Hawthorne House by Donald Firesmith is a charming ‘found family’ story that deftly illustrates how people of different cultures/ spiritual backgrounds can get along just fine. For decades, Vivianne Hawthorne has kept to herself and not interacted with the residents of the town her grandfather gave name to. That changes when the Mitchell family moves next door. Matt, looking for odd jobs to earn money, approaches Mrs Hawthorne about working in her overgrown yard. The elderly lady reluctantly agrees, thinking he's just there to trick her, like several bully kids like to do. Matt proves his worth though, and every weekend works to tame the yard. Then Vivianne's great-niece and her kids move in, and Matt finds a best friend in Gerralt, a boy his age. But there's more to Gerralt and the Hawthornes than ever Matt might guess. Over the course of the story, the boys confront bullies (in hysterical ways! ), learn to trust that difference isn't bad, and the strange and unusual need not be feared, and even find treasure! This story engaged me right from the start. At first, I wasn't so certain 'druid’ was the correct term for the Hawthornes, but that gets resolved later in the story. I enjoyed learning about their ancestors’ past. I'm doubly grateful that Matt, and later his family, learned to at least accept the Hawthornes’ faith, even if they cannot share it, and believe there must be a different explanation. I adored that the author wrote the Hawthornes as they spoke, accents and all. It immediately reminded me of how my Welsh friend speaks, and it's later revealed that the Hawthornes’ ancestry is Welsh, and that they tend to live in isolated colonies which may serve to preserve parts of the accent. At any rate, I loved it! Also, most of their names reflect Welsh ancestry. Slow me took a bit to recall that Gerralt is nothing more exotic than Gerald. Several characters have to step out of their comfort zones. Matt must learn to accept Gerralt's faith, the younger Hawthornes have to have far greater interaction with technology than they're used to. On Deer Isle, where a colony exists, electricity is not used. They are living experimental archaeology. Vivianne, I think, took the bravest step by going out to supper with everyone despite being terrified of ridicule and persecution by the townsfolk, many of whom believe she killed her husband and best friend over an affair. I just can't imagine her doing such a thing. She seems so sweet. I'm definitely looking forward to reading the next in the series!